A fun brain game to enjoy! 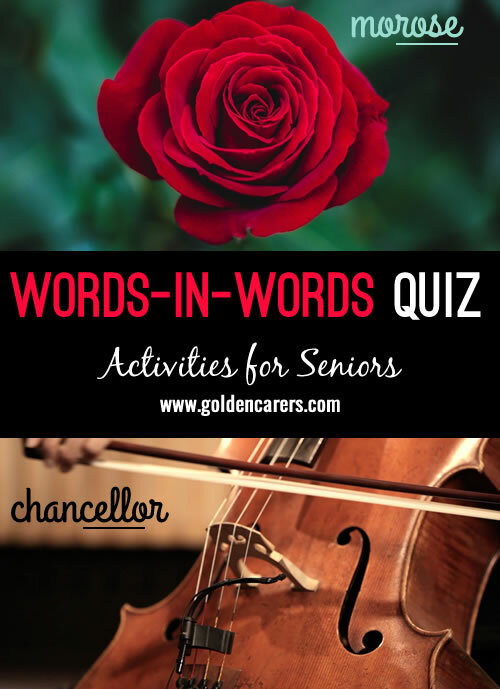 Words in Words will keep residents entertained while exercising the mind. Read the clue and find the answer within a word provided. Love these types of Quizzes, it gets our Residents thinking, laughing and competing to give the answers! Thanks for your feedback Tricia!